Things don’t always go as planned as Matthew Cox, Co-Founder and Owner of Never Give Up Behavioral Health Services, found out at an early age. Matthew Cox was diagnosed with a learning disability in high school where he was told he would never attend college or amount to much. Cox’s determination and perseverance lead to the creation of Never Give Up. Never Give Up Behavioral Services encompasses four separate entities: Never Give Up Foundation, Never Give Up Seminars, Never Give up Wellness Center, and Never Give Up Youth Healing Center. Never Give Up Foundation began in 2008 as a nonprofit organization determined to bridge the gap between individuals with learning disabilities and their communities. Cox struggled through his early life when his disability was unrecognized, leading to numerous frustrations. Cox was determined to help other children not feel the way he had. Cox has delivered dozens of keynote speeches on disabilities and mental health, and provides training and resources to the community. Never Give Up Seminars offers a variety of workshops to the community including staff development, relationship retreats, and emotional growth. Cox also provides customized workshops to cater to any organization’s need. In 2012, Cox found there was a need for mental health services in the Las Vegas community for children in lower income families. Never Give Up Wellness Center was formed to address the need for mental health in Nevada and employs over 40 providers licensed to conduct many different therapies including psychiatry, individual counselling, family counselling, couples counselling, medication management, and biofeedback services. 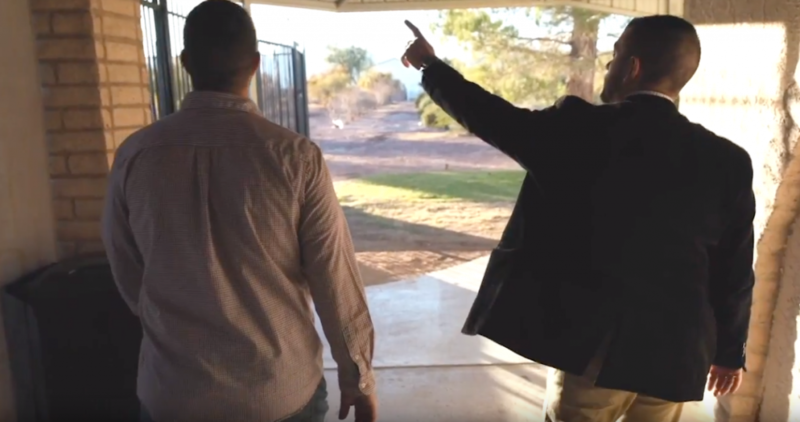 Never Give Up also boasts a residential treatment facility outside of Las Vegas called the Never Give Up Youth Healing Center for adolescents ages 8 to 17 who require more intensive care than outpatient services can provide. Our facility provides 24-hour supervision for youth in a home-like setting where they can learn coping and decision-making skills typical in their daily lives. Youth receive all academic, extracurricular, and therapeutic services at the facility. The goal of both the Wellness Center and the Youth Healing Center is to restore clients to their highest level of functioning so they can rejoin their communities and thrive. Never Give Up Behavioral Health Services — From 51st to 1st! Never Give Up Behavioral Health Services Co-Founder/Owner Matthew Cox is currently scheduling interviews or speaking engagements. If you are interested, please get in touch. Become a sponsor with the Never Give Up Foundation and help bridge the gap for mental health in Nevada.